My father first took me fishing at the age of 5 but I did not pick up a fly-rod until 1992. 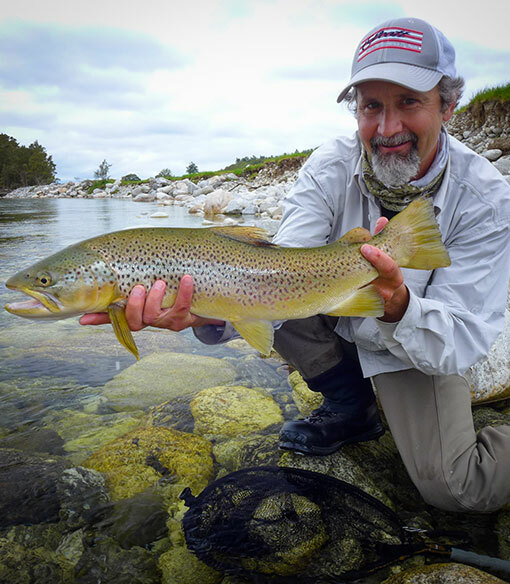 The first 10 years or so I fished extensively throughout Colorado, Montana and Wyoming, focusing on trout and the maze of rivers and creeks they inhabit. Fishing with some of the best guides available helped me quickly refine my angling skills and soon the never-ending quest to expand those skills (and my sense of adventure) pulled me to the salt water. Bonefish in the Bahamas, Tarpon in the Florida Keys, Stripers off Long Island, Permit in Mexico and Roosterfish in the Baja have all helped take my fishing to a whole new level, not to mention see some pretty amazing places! This past winter, I spent 4 months living solo in a van and fishing the South Island of New Zealand. Experience of a lifetime! More tarpon trips, more permit trips, and more time in New Zealand. Simply, to continue traveling to new places with a fly-rod. Mountain biking, back-country snowboarding, hiking and the adventure photography that goes along with those sports. Connecting with the client and seeing them develop a love for the art of fly-fishing. From the beginner catching their first fish to the experienced angler applying a new technique that helps them elevate their game, the feeling I get from teaching others to fish is what I enjoy most about guiding.